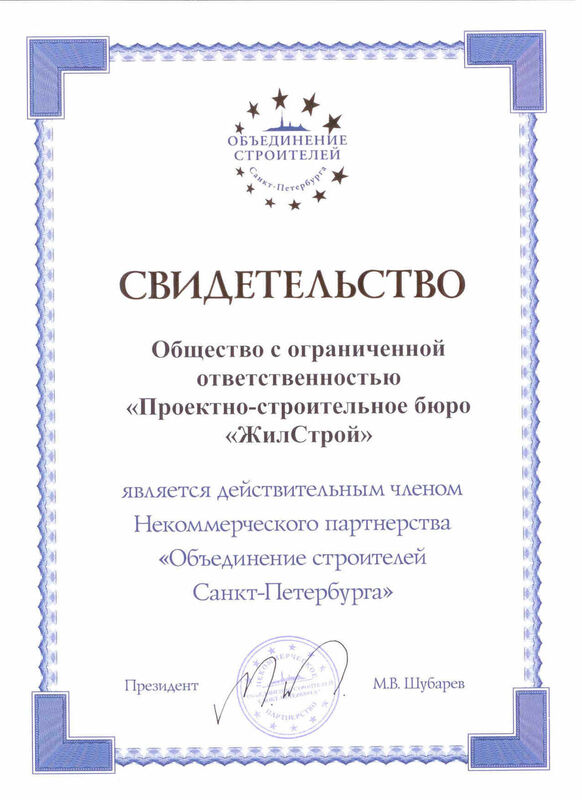 The Certificate of Saint-Petersburg Constructors Association. 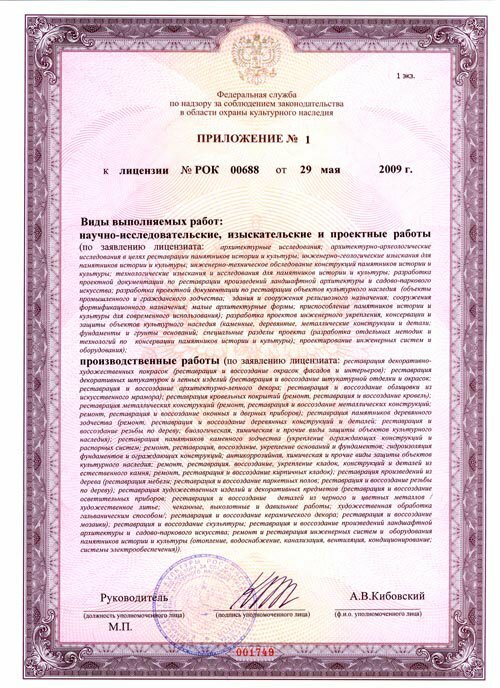 The Certificate of admission to works which influence the security of permanent buildings and facilities (Design). The List of works which influence the security of permanent buildings and facilities (Design). 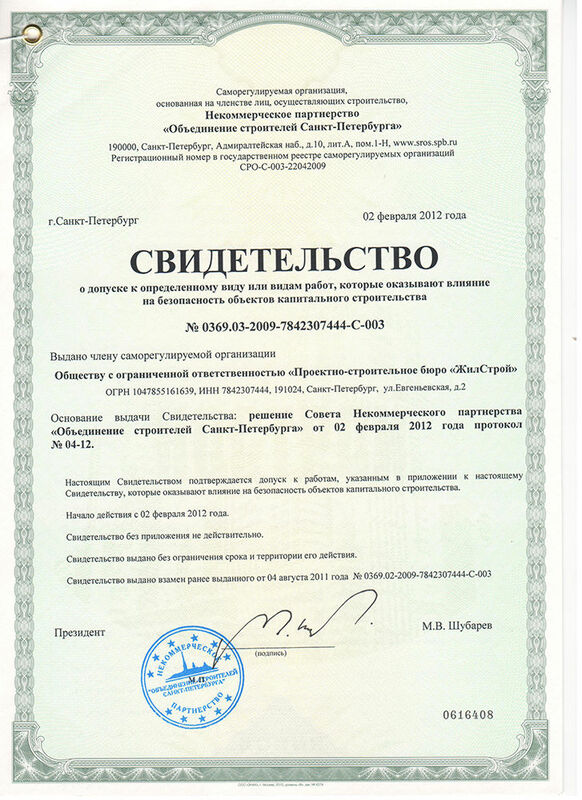 The Certificate of admission to works which influence the security of permanent buildings and facilities (Construction). The List of works which influence the security of permanent buildings and facilities (Construction). The List of works which influence the security of permanent buildings and facilities (Engineering investigations). 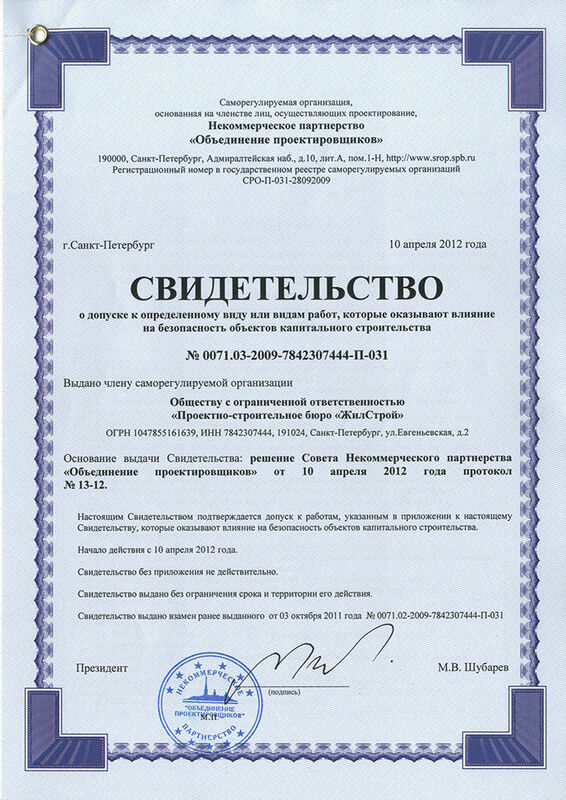 The License for cultural heritage objects restoration (cultural and historical objects). Appendix to the License for cultural heritage objects restoration. This week ended all the work on the project, which can be classified as "image". That is, those projects which form such a thing as a modern St. Petersburg. It is an Ballet Academy of Boris Eifman.